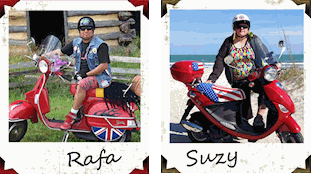 The Genuine Roughhouse is a great scooter, but golly is the seat hard. If you want to combat rider fatique and give your self a bit of comfort, our padded cover may be perfect for you! We have hand crafted this seat cover to be functional and beautiful. 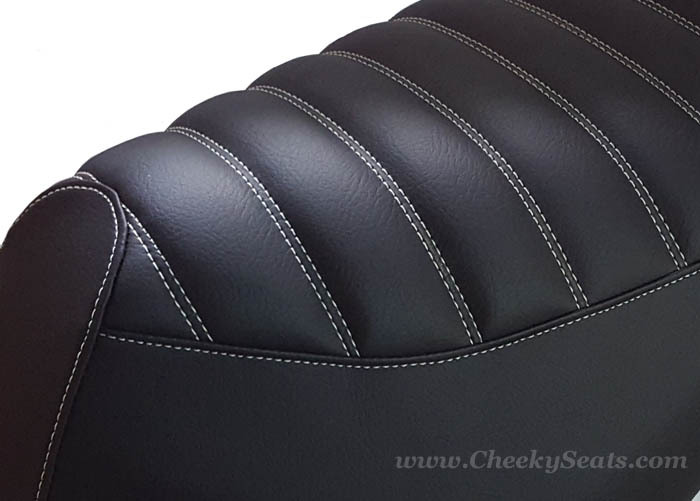 We have used our premium matte faux leather which has a soft hand like calves leather, and provides a superb riding surface. We have sewn high density foam into the top of the cover and styled it like a classic "tuck and roll" with exposed double line stitching in white stitching. 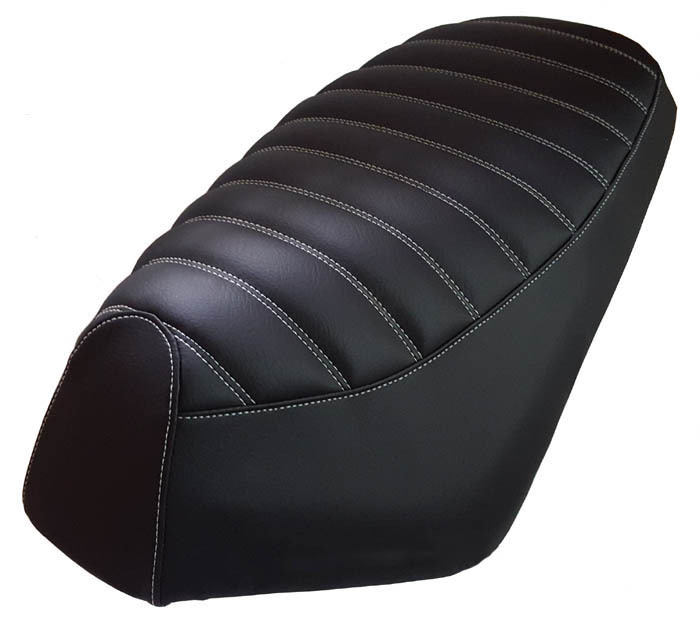 Waterproof and UV stabilized, this is one tough seat cover that will be a perfect addition to your Genuine Roughhouse. No staples or tricky assembly required. 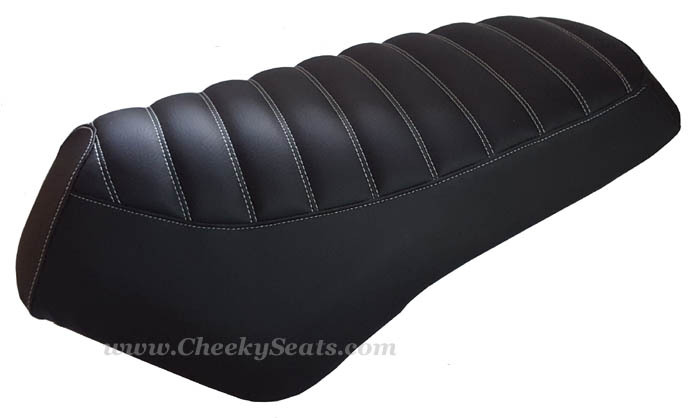 Our impeccably tailored covers fit like garments on your seat. This is just the kind of signature accessory your scooter is calling out for. All Cheeky Seats products are crafted by hand in Pennsylvania, USA. Free Priority Mail shipping anywhere in the United States. That includes Alaska, Hawaii, Puerto Rico, and all APO/FPO addresses. Multiple purchases can increase the international shipping cost slightly, if you are unsure, you can check the shopping cart at any time prior to purchase, by clicking "View Cart" under the total in the pop up window.